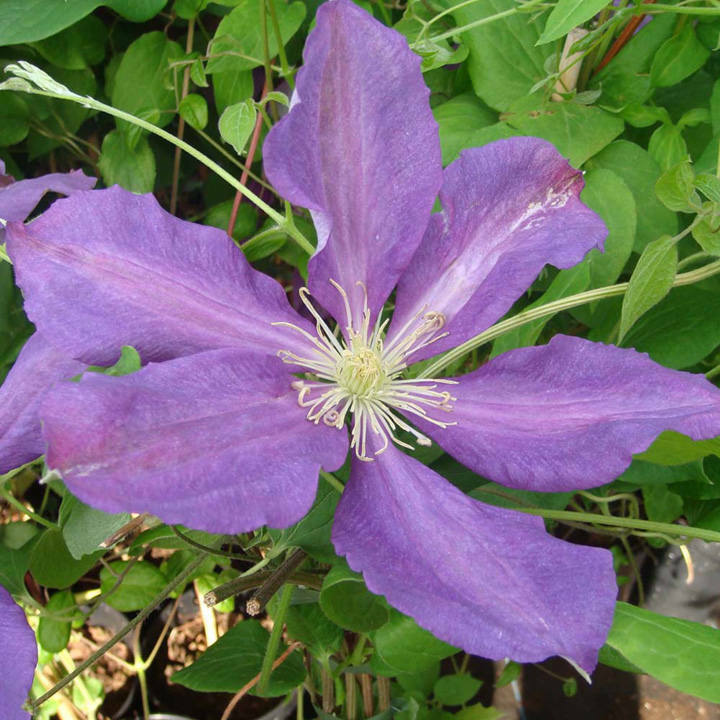 Clematis 'Luther Burbank' has dark green leaves and this deciduous, perennial climber produces large, deep purple flowers from mid summer to early autumn. Flowers July-September. Height 250-300cm. Supplied in a 3-4 litre pot.